Malaysia Airlines has introduced their version of the international prepaid SIM, with a free SIM card offered to those booking a Malaysian Airlines flight ticket. 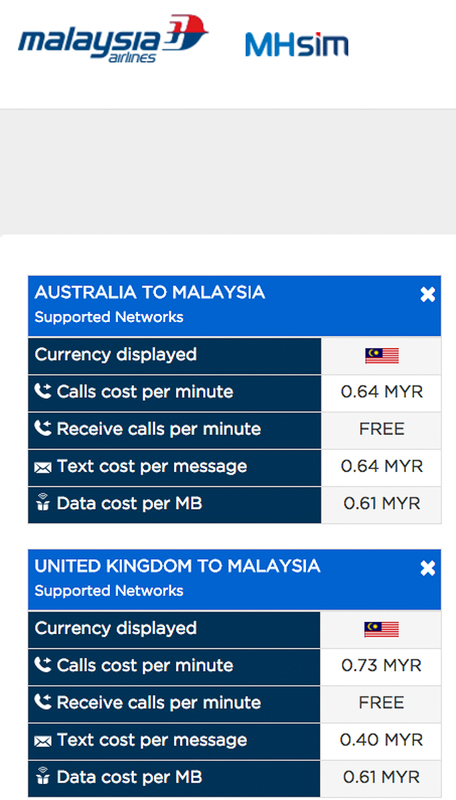 The new MHsim allows travellers to make and receive calls worldwide, with the charges in their preferred currency. At the time of writing, the only two currencies available seem to be Malaysian MYR and Australian $. There is a handy calculator on their Rates & Coverage page, where you can see what you’ll pay for Calls, Text messages and Data. The MHsim is currently targeted at Australian and Malaysian customers, booking Malaysian Airlines flight tickets. You don’t pay for received calls in many of the combinations we checked. The SIM is not network dependent. If you need assistance, there is a chat service available. When we contacted them, the person at the other end was available able to answer all questions satisfactorily. The support videos are clear and easy to follow and give help with useful things like changing to a better network, topping up and so on. 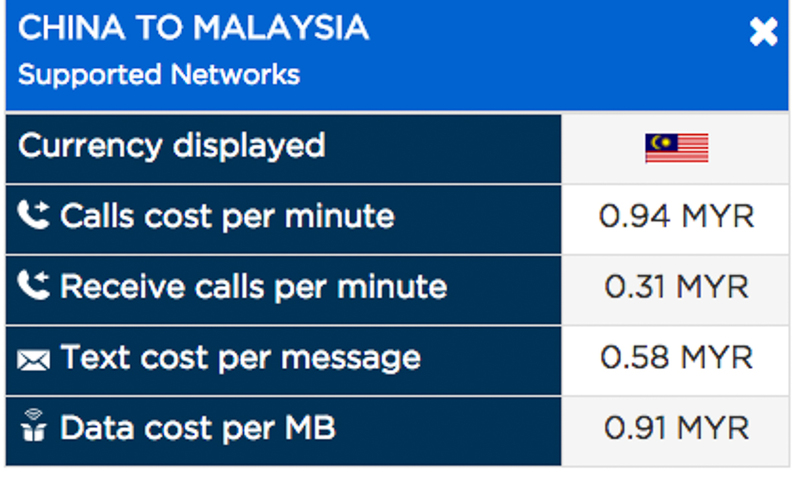 Data seems to be rather expensive at MYR.61 per MB for some countries and for others e.g. Canada to Malaysia it went up to MYR.91 per MB. That for this writer was the main drawback as a local SIM in your destination may give you a better deal. See our story HERE. Some countries (China, for example) charge you for received calls as well. So it looks like a good idea, but some development needs to be made to give the cars a competitive edge in what is a growing market. We’ll keep our eye on this one and would appreciate any feedback from users.